His Biography written by Steve Bo Keeley is now available in paperback on Amazon.com for $6.30. Charlie Brumfield was one of Racquetball’s greatest champions and was a mentor to many Paddleball players. 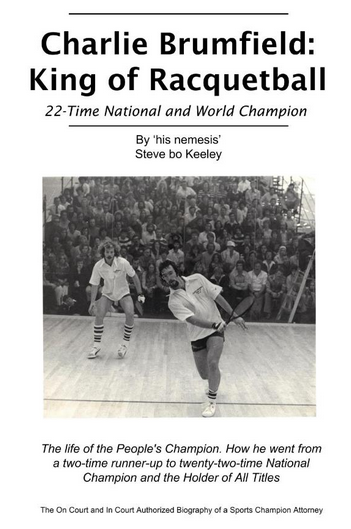 THE ONLY AUTHORIZED BIOGRAPHY of Charlie Brumfield, racquetball’s greatest champion, by the sport’s greatest author of the best-selling The Complete Book of Racquetball, his nemesis, Steve bo Keeley. 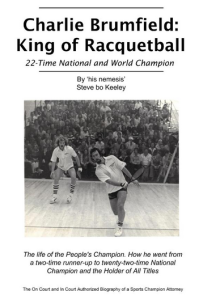 Charlie Brumfield the King of Racquetball outstripped the field with 22 national and world titles during the Pioneer and Golden eras of the 1970s and 80s. Brumfield alone is the only player ever to hold Triple Crowns in both singles and doubles—an accomplishment unlikely ever to be matched. And when the racquetball day is done, the question is who is the All-Time Best Player ever? It is fairly said that the King rules best when the subjects are most plentiful and splendid, and for this Charlie Brumfield is the undisputed King of Racquetball of all time. He calls himself ‘The All Time Holder.’ ‘Yet I still recall how he held forth for an hour or so before a group of Vermont instructors on the dynamics of the grip. He had more faith in himself than the average movie hero, and he wrote his own script as he went along.’ – Art Shay Official Racquetball Photographer, Official Olympic Photographer, Racquetball Hall of Fame. Charlie Brumfield also enchanted the gallery because he committed the least number of Mental and Physical errors in a contest. He had perfected the Sword and Shield of backhand ceiling and sharp forehand kills to begin an unprecedented 20 tournament win streak! When everything else failed, he was still the best Gamesman in town alongside Muhammad Ali, with an IQ approaching Einstein’s 180, and a photographic memory to catalog every pro’s moves that he could rewind and edit with a single curse or jab. Once he stuck a racquet under young Hogan’s chin, pushed him a few inches and threatened to bop him if he didn’t back off. Brumfield was penalized one point- and won going away. Later he predicted, ‘I believe that as Hogan matures he will lose his nasty edge and be more beatable.’ Charlie Brumfield looked like the Prince of Darkness, moved like Groucho Marx, and had the flawless arsenal of a platypus on steroids. The only way to defeat him seemed to be before the finals by sending him chocolates, dates, or to hire a Californian to take him drinking. Sports Illustrated lambasted, “Brumfield is a bearded, bespectacled, silver-tongued San Diego attorney whose belief it was that nobody would beat him ‘unless they pull down my pants.’ When he rarely lost a match, he found secret solutions in laboratories like Dr. Frankenstein in a penchant for his ‘science experiments of racquetball.” Must sees for all sports’ fans inside this book: * You will never see another story about Elvis in racquetball or about the Memphis Racquetball Mafia. * No other publication finds Bobby Fischer playing racquetball on an obscure court at the Church of God. * Three early shots Brumfield and the author pioneered that are still used. * How he beat Björn Borg with one stunning shot to break ‘Mr. 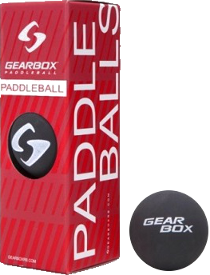 Ice’ to win the Challenge of the Racquets in squash and badminton. * Pouncing under tournament pressure on his sleeping opponents, shouting, ‘Twenty-one!’ * Shot by shot analysis of the match with Marty ‘Killer Dog’ Hogan that was painted by Leroy Neiman. * The only Box of Statistics of Brumfield’s 22 National and World Championships. * Two pages of testimonials from his friends, foes, refs and sponsors. * Three pages of famous Brumfield quotations. * The secrets of Racquetball’s history declassification in 2013. * What winning tips he kept in his crib list under the grip on his handle. Play by play description by the author, his nemesis, of the champion’s strokes, strategies and methodologies. Brumfield earned his Law degree while winning his back-to-back national singles titles on the court during 1972 and 1973. ‘I love the theory and practice of law,’ he said. ‘And use the same techniques applied from racquetball to the court of law.’ In 1975 and 1976 he again won back-to-back titles, while practicing law on the side.